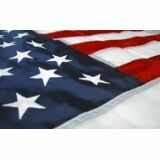 Display your American pride by flying our beautiful US Outdoor Flags, perfect for patriotic events and commemorations. 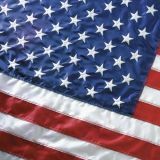 Our flags are designed to withstand the outdoor elements and can be used in every size flagpole from 120' flagpoles to 6' street poles to 5' home flag set poles. Light weight and durable, our flags will make a spectacular presentation at government buildings, parades, and other patriotic events. 100% made in America, our flags feature UV resistant Dupont inks that will retain beauty and color clarity. From the long lasting nylon and polyester flags, to the more classic and traditional looking cotton flags to the new recycled material flags, we have everything you can ask for in US Outdoor Flags. Shop right away, you'll find the best prices, quick shipping, and much more! 100% customer satisfaction guaranteed! 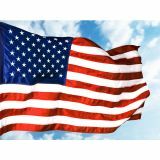 Show support for our country by proudly displaying these Outdoor American Flags outside your companies, homes, offices or in the community and show that you are a proud of being a citizen of the United States. We specialize in providing you with a variety of US outdoor flags in different sizes and material choices that will perform well against weather. 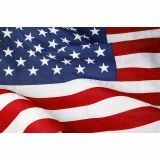 Made of premium quality materials and finished with grommets and headings, these flags are well-suited for government use and all patriotic and national events. 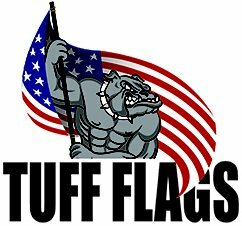 Designed to last, these commercial grade flags are 100% made in America by Americans. Proudly fly these American flags to highlight your national pride. 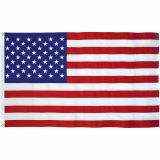 Beautifully crafted, right down to the richly embroidered stars and stripes, our Commercial grade American Outdoor Flags are designed to withstand a variety of weather conditions and elements, wind, UV rays, heat, snow and rain. All our flags are made to official specifications and scale and are available from light to heavy wind conditions. 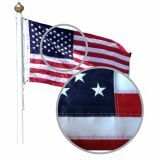 Need any help in choosing the best in US Outdoor Flags? 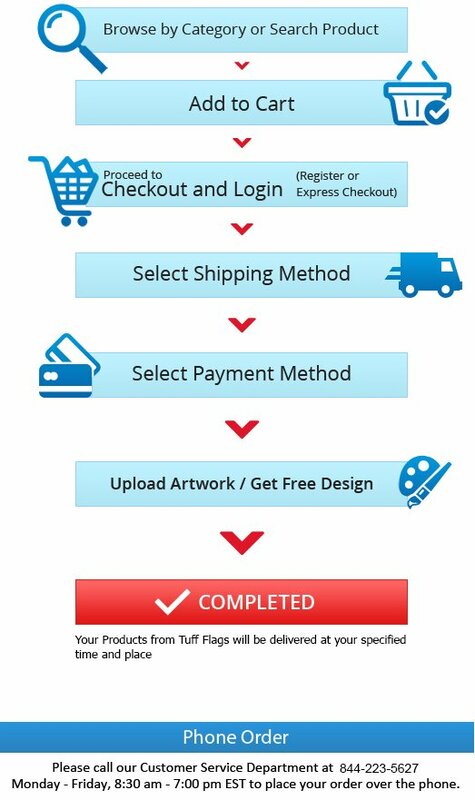 Just call us at (888) 287-3524 or email us at customercare@tuffflags.com and our product experts will quickly walk you through the ordering and selection process.